For the uninitiated, the colourful and high walls may seem alluring yet daunting but that should not stop the adventurous you! Join friendly instructors for an hour of introduction to top-rope climbing in a small-group setting which ensures you get the attention you need as a beginner while making friends to continue the sport with. Climbing Exploration is an introduction experience to climbing designed as a starter programme for beginners of all ages – seniors, adults, youths or kids. 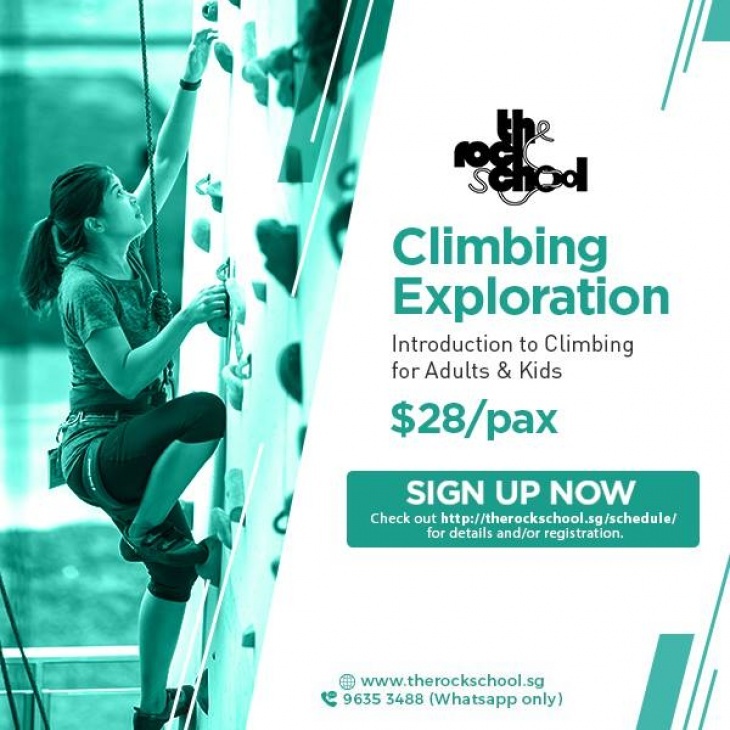 It is a guided class with all equipment provided and parents of young climbers have the option of dropping off their kids at the gym for an hour. Programme for Climbing Exploration @OTH is different from that for Climbing Exploration @Bedok Community Centre. Please refer to (link to EC@Bedok CC) for more information. Please bring along a pair of socks for hygiene purposes as climbing shoes will be provided. Alternatively, a pair of socks may be purchased at $1/pair. 16 May, 15:00–16:00 & 19:30–20:30.